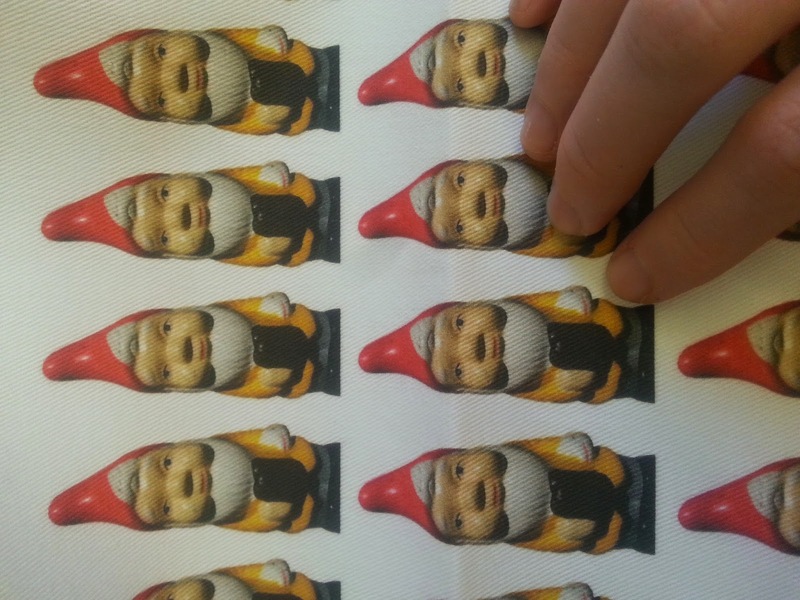 The Boston Garden Gnome has its own fabric/wallpaper/wrapping paper! We're going to be using this in the future to wrap our books and ship them out, as well as little lovable ornaments! The gnome looks so cute in miniature, like its own tiny mascot!